Behold the final (and best?) trailer for Batman v Superman: Dawn of Justice! "Fearing the actions of a god-like Super Hero left unchecked, Gotham City's own formidable, forceful vigilante takes on Metropolis' most revered, modern-day savior, while the world wrestles with what sort of hero it really needs. And with Batman and Superman at war with one another, a new threat quickly arises, putting mankind in greater danger than it's ever known before.' 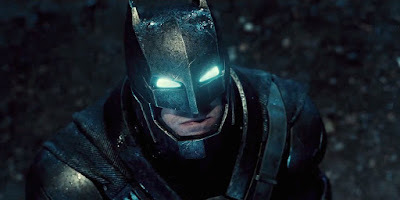 - Warner Bros.
Will Batman Get A Solo Movie In The DC Movie Universe?